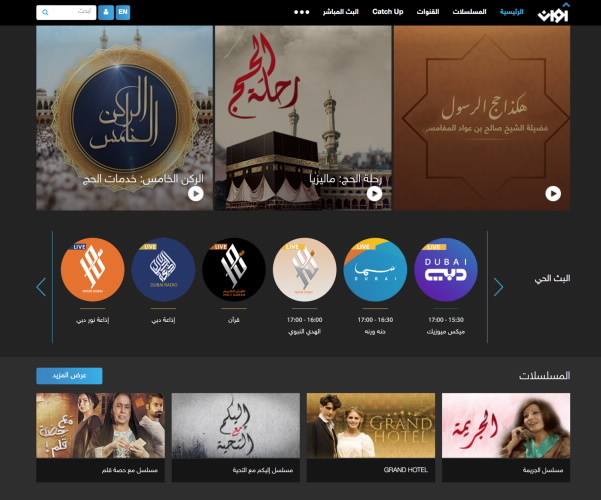 Launched in 2016 by Dubai Media Incorporated, the Dubai State Broadcaster, Awaan quickly became the largest Digital Entertainment Platform in the GCC / MENA Region with more than 180,000 assets of audiovisual content available on the platform. In addition to the Live Streaming Service, Awaan offers users the ability to access the Channels’ Catchup (Time Shifted) Service and browse from a large library of Video / Audio on Demand Content. Heba Al Samt , Digital Media Radio and TV – Department Director at Dubai Media Incorporated highlights the strategy behind Awaan which is to create a platform that empowers any publisher, broadcaster, or content producer to use this digital backbone to reach out to Global audience all around the world and not only remain as an OTT platform for DMI. Awaan has hosted some of the biggest events in the region such as the Dubai World Cup, the Burj Khalifa NYE Fire Works, and many others. The library of content is growing every day with content ranging from drama, movies, cooking, cultural, Islamic, General Entertainment, and much more. The Technology provider is the award winning Lebanese Headquartered Mangomolo (www.mangomolo.com) who are known for their heavy dependence on Artificial Intelligence and Machine learning to automate publishing workflows and drive audience engagement while streamlining everything in one core platform, which is very evident in Awaan. Currently, Awaan is accessible through the website, Mobile apps available on the Apple Store and Google Playstore, Apple TV, Samsung Smart TV, Chrome cast, and soon on other platforms and devices.